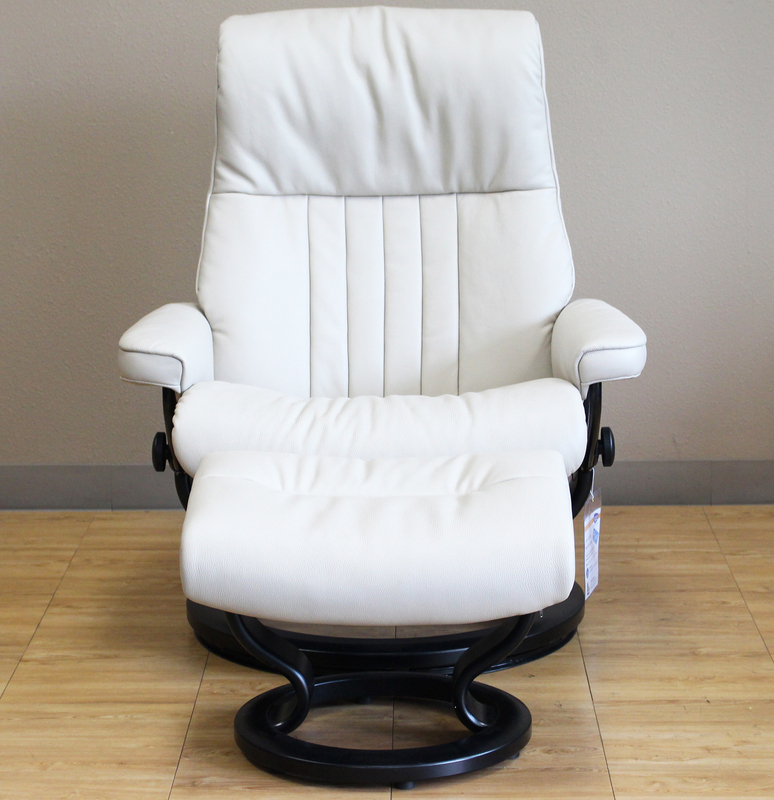 Stressless Crown Cori Vanilla White Leather Recliner Chair - Most Stressless recliners come in three different sizes for optimum seating comfort and a more personal recliner fit. 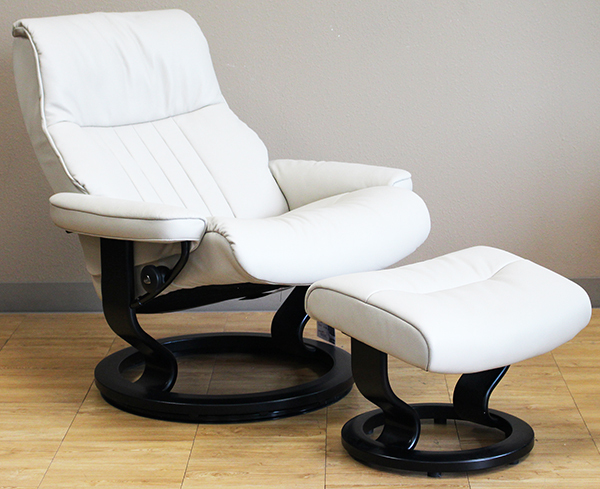 All Stressless Recliners can rotate and swivel a full 360 degrees. 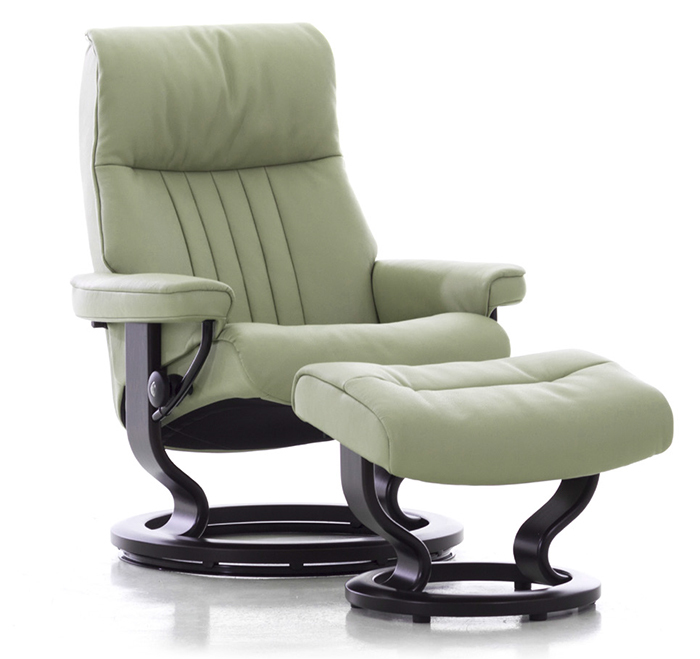 Genuine Stressless Recliners feature the Stressless Plus system with a lumbar support that synchronizes with the reclining Glide system to provide continual support for your lower back. 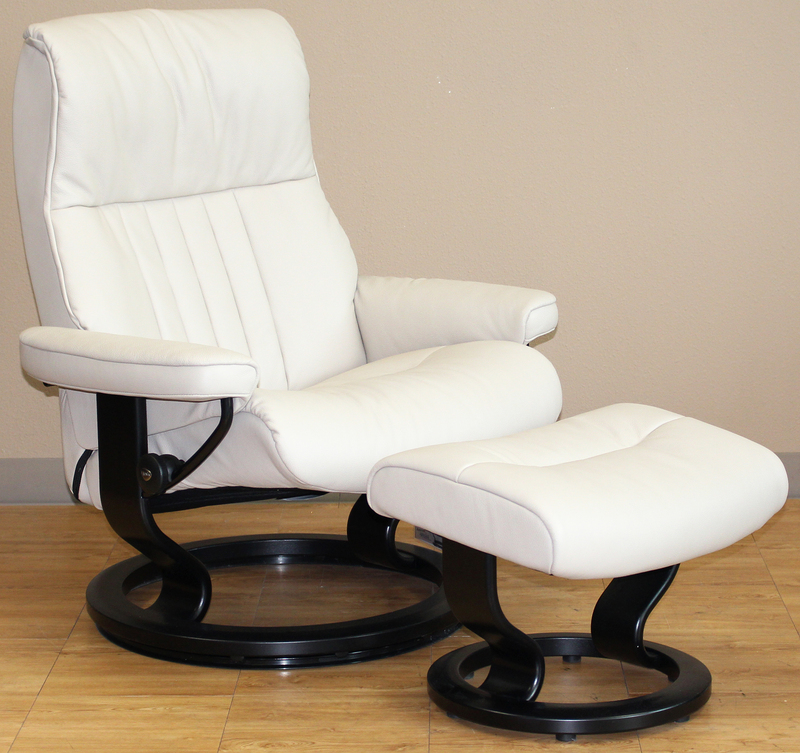 The Headrest also synchronizes with the lumbar support system so that your head is always positioned to maintain eye contact. 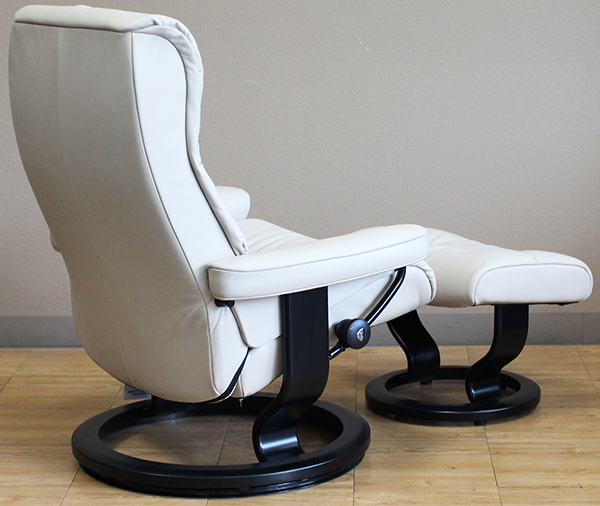 The Stressless headrest can also be flattened out when reclined for sleeping and resting. 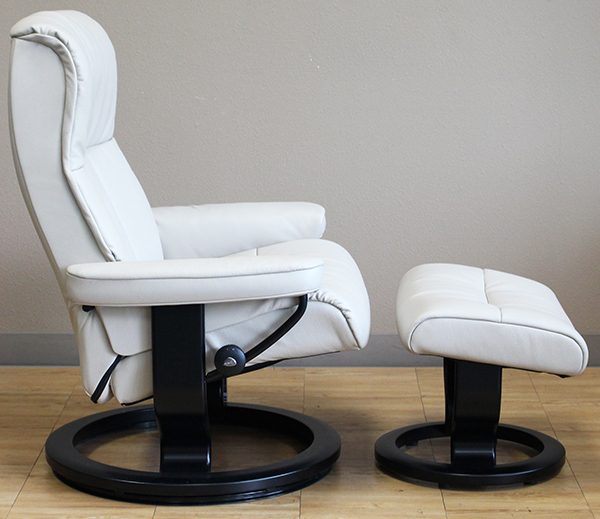 Some models will also offer a height adjustable headrest.